1 Bedroom Flat For Sale in Harrow for Asking Price £280,000. A Second Floor 1-Bedroom apartment situated on this former office building in Harrow's Town Centre. 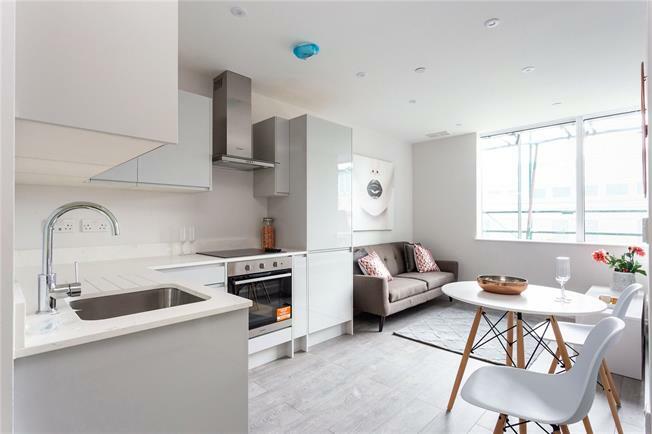 With 387sq.ft of living space, the apartment includes a contemporary integrated Kitchen, fully tiled Bathroom and flooring throughout. The former office building has been converted by Harrow Holdings Limited into 92 new apartments to include Studios, 1 & 2-Bedrooms. Ideal for First Time Buyers and young professionals, Queens House is conveniently situated for the Town Centre with its range of shops, eateries, cinema, gym and having excellent links to central London via Harrow on the Hill station.